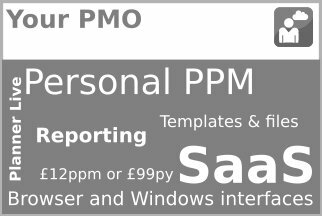 If you are looking for the best flexibility, security and price for your PPM solution then look no further. 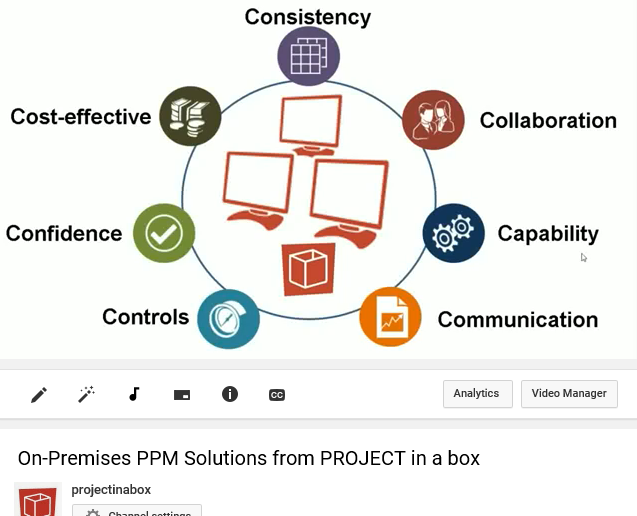 Because PROJECT in a box On-Premises PPM solutions will be just what you need. 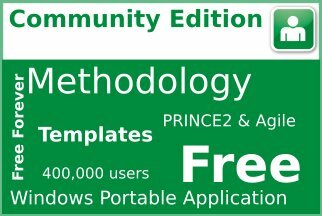 First of all Small Team Edition for smaller implementations or a pilot. 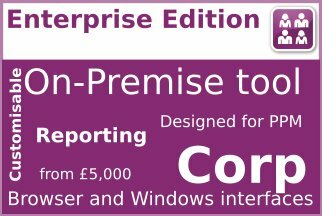 If you need to deploy to a larger group then Enterprise Edition will be perfect. You can find out more in the Video here below. If you don’t have access to You Tube you can still see the video here on our site. 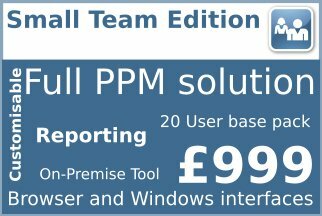 You can host our On-Premises PPM solutions on the simplest of networks. You could even host it from a desktop PC if you wanted. So unless your IT department has a strategic reason not to, then the benefits could be yours. You will control your own security and if you keep it just within your network can even run it un-encrypted. Your users can authenticate with Single sign on making it quick to log in as well as more secure. Of course you could still give external access if you wanted. We could advise you on the best approach for securing that. Our On-premises PPM prices are always lower than our Cloud PPM prices. 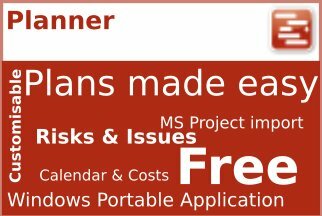 So if You have your own IT team and resources and can use them you will save money. 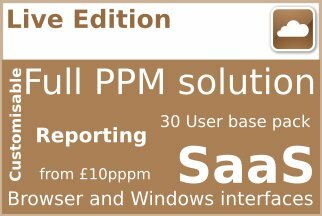 Our On-Premises PPM prices are also all perpetual so once you have bought it you can use it for as long as you wish. Of course you are likely to continue with maintenance in future years, but it isn’t mandatory. When you are hosting your own server you can easily personalize your branding, methods and reporting to match you corporate requirements. Many customers find this a major advantage. 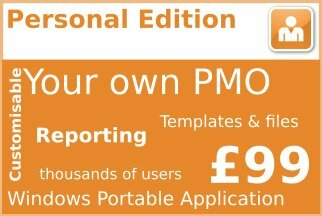 So if you are ready to find out more about on-premise PPM solutions contact us with your questions or to arrange a web meeting.